Led Zeppelin music lyrics let you sing along to your favorite Zep songs without embarrassing yourself by flubbing the words. Let's face it -- Mr. Plant, though vocally untouchable, might not have always annunciated too well. With Led Zeppelin music lyrics, you'll finally know what he's really saying (and no, he's not saying …and there's a wino down the road.). Led Zeppelin is one of the most popular and enduring names in music. Much like The Beatles, The Who, The Doors, and The Beach Boys, Led Zeppelin is one of those bands that new generations discover and rediscover again and again. Their blues and soul influenced rock music was a hard edge antidote to the typical seventies fare of disco and singer-songwriter music. In the seventies, if you wanted to rock, you had to listen to Zeppelin. A staple of classic rock radio stations, Led Zeppelin is also being discovered by new audiences through the use of their songs in popular films. Led Zeppelin used to be shy about giving up the rights to their songs for public use, but in recent years, the band has reversed their position. You can now hear Zeppelin classics like Black Dog and Rock'nRoll in films like Almost Famous and School of Rock. 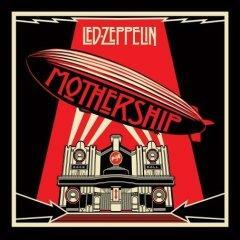 Led Zeppelin is considered to be the godfathers of metal, and they certainly knew how to rock. That credit limits their sound too much, however. Led Zeppelin III was in essence a folk album, and the Led Zeppelin song everyone knows, Stairway to Heaven, mixes a blistering metal guitar solo (routinely voted the best guitar solo in history by most guitar magazines) with Middle Eastern and mystical music influences. There is actually a great deal of variety in Led Zeppelin's music. Whether or not you consider Led Zeppelin to be the brains behind metal, one thing no one can dispute is that they are the band who brought new meaning to rock and roll excess. Led Zeppelin's partying and road antics are of legendary status. Think of your favorite rock and roll cliché, and chances are that Led Zeppelin started it. From trashed hotel rooms to TVs out the window to several well reported involvements with staggering numbers of groupies and a story about a shark that refuses to die, when people talk about partying like rock stars, they are mostly talking about partying like Led Zeppelin. A-Z Lyrics - A-Z Lyrics is a popular lyric site for all kinds of music, and they have an extensive Led Zeppelin lyric collection. All of your favorites are listed here, but there are a few gaps in the coverage of more obscure songs. eLyrics - eLyrics has a collection of lyrics to the most popular Led Zeppelin songs, but again you won't find everything here. The downside to this site is that you have to brave the pop up ads and navigate your way through all of that flashing "You Won" jazz. The upside is that you can order Zeppelin ringtones and download Zeppelin songs while you're getting your lyrics.